Can There Ever Be A French Revolution In The United States? This post is dedicated to the folks who can afford a value meal at a fast-food joint, especially the dollar menu. It’s always heart-breaking [or is it heart-warming?] to know that no matter how good or poorly the economy may be doing, we will always have the robber-baron class. They will always have something to blow their money on. At a time when so many of us have difficulty not only paying for gas but when just buying food from the grocery store is so painful. $150 Burger, $175 Burger, $5000 Burger. The U.S. Congress has always been and will always be bogged down in party politics. There will always be resistance from either party when the opponent in Congress wants to pass a bill in favor of the poor. I think I said the last statement wrong. Congress and the poor in one sentence just don’t fit in. The poor have no lobbyists representing them and Congress can’t work without lobbyists. The have-not folks don’t exist in the eyes of the rich, the Congress and the lobbyists. I don’t think a French Revolution can happen anywhere in the world, let alone in the United States. It’s just that there will always be folks left out from any kind of economic boom any place in the world. The mindset of the rich as well as the poor has changed in modern times. The rich and the poor think differently – obviously – but at the same time, they think the same – not so obviously. Go figure. Nothing will bring the rich down to earth in their spending and helping the poor. Nothing will bring the poor up to a living standard that they won’t need help from the rich. 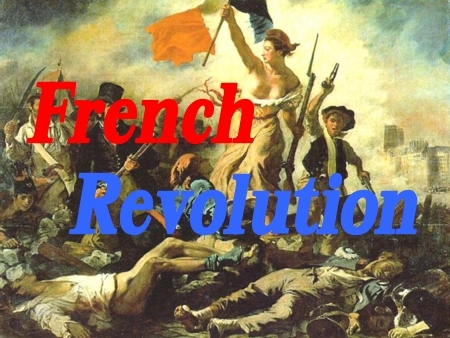 For a video by Khan Academy, click on French Revolution (Part 1). You actually make it appear really easy together with your presentation but I to find this matter to be really one thing that I believe I might by no means understand. It kind of feels too complex and very huge for me. I am looking ahead in your next submit, I will attempt to get the cling of it!